The Jay Odom Group built Destin Jet and operated its 5,500 square-foot facility, which also included 10 hangars totaling 40,000 square feet, from 2009 until 2016. 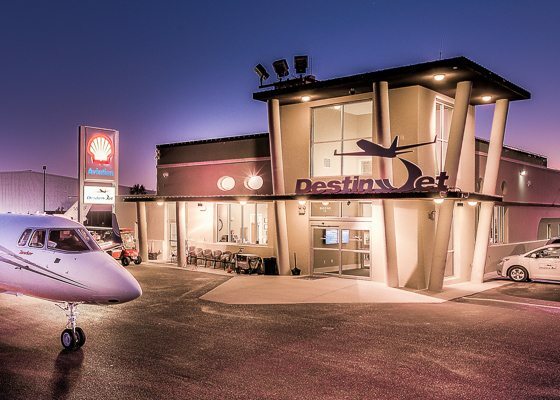 Destin Jet was ranked among the world’s top 10 FBOs within 3 years of its opening in 2009. Six years later, it ranked #3 FBO in the Americas, and #1 FBO in small markets. By purchasing its competition in 2014, The Jay Odom Group added another 5,500 square-foot FBO and a 12,000 square-foot maintenance hangar to Destin Jet. The Jay Odom Group’s success in the Aviation Industry was achieved because the Destin Jet business model was based on operating as a hospitality business, rather than an aircraft business.